Beirut: The Council of Economic and Development Affairs (CEDA) met for the first time on February 11 at the Royal Court under the chairmanship of the Minister of Defence, Mohammad Bin Salman. Unlike the Council of Political and Security Affairs (CPSA), whose entire membership is composed of nine individuals, the CEDA boasted a 22-member roster that, naturally, required a Secretariat. That task was entrusted to the Secretary General of the Council of Ministers, which meant that the CEDA was for all practical purposes a kitchen cabinet whose writ concentrated on economic affairs. Inasmuch as the Council of Ministers was the chief arena of policy debates in the Kingdom, and because of the burdens associated with so many tasks, it appeared that King Salman’s main objective was to separate the process into two manageable groups, each entrusted with equally pertinent duties. This was certainly one interpretation that recognised how complex the day-to-day running of the government became, which required the type of coordination that was presumably not practised as much as the ruler hoped would be, given that Cabinet sessions were often used to reach decisions over a limited period of time. The monarch concluded that such cooperation necessitated a degree of exchanges and, perhaps, cross-referencing among pertinent ministries to avoid duplication and, more important, to end waste. There was, moreover, an explicit awareness that security matters were best dealt with within a narrower environment, hence the CPSA, whose work, he most probably reasoned, ought not be mixed with important socioeconomic decisions. In short, the goal of the CEDA was to actually run the affairs of the state and be far more responsive to the needs of citizens, ranging the gamut from health care to education to myriad social and economic provisions. Still, there is more to this story than met the eye, because of the identity of the CEDA president, Defence Minister Prince Mohammad Bin Salman. By virtue of his chairmanship, Prince Mohammad was on an apprenticeship fast track to eventually assume higher office, perhaps even the premiership or the deputy premiership. Like his predecessors, King Salman opted to remain his own Prime Minister, which meant that he presided over cabinet sessions. The Deputy Prime Minister, Heir Apparent Muqrin Bin Abdul Aziz, chaired whenever the monarch was absent. In other words, cabinet sessions were nominally the only preserve of the Heir, who was now bypassed by the work handled at the CEDA level. This did not mean that the cabinet was no longer a pertinent institution or that its decisions were less valuable than those handled at the CEDA but that two near identical institutions could not possibly be expected to do the same work. That is why it was eminently logical to conclude that King Salman wished to streamline the institution because he wished his son would learn in the job. In short, and beyond its putative efficiency goal, what the CEDA was meant to do was for Prince Mohammad Bin Salman to be a Prime Minister in training, which also explained the huge amount of power concentrated in his hands. 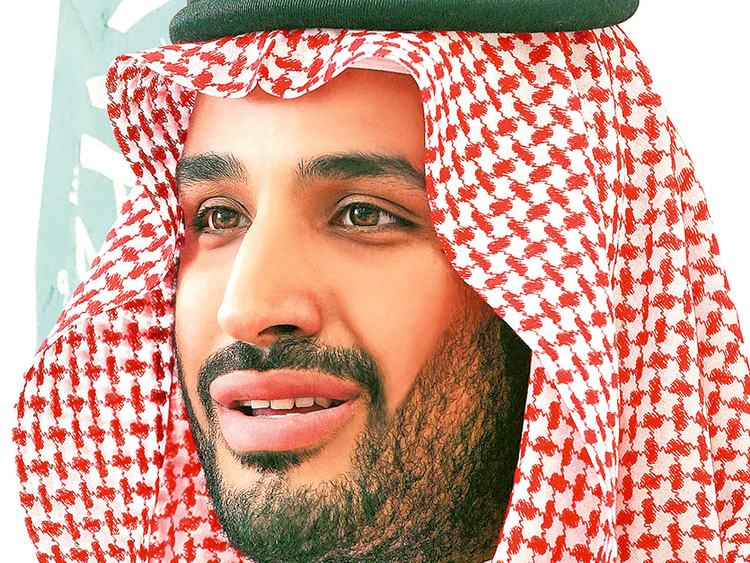 At 35, Prince Mohammad must now find the energy to handle so many responsibilities, and while the King Saud University graduate remained close to his father after he earned his law degree in 2008, what was asked of him went beyond the ceremonial. Although a capable individual, it was still too early to determine whether the young prince had the stamina to do so many things, and do them well. The eldest son of the monarch’s second wife, Princess Fahdah Bint Falah Al Hithlain, from the eastern Ajman tribe that backed the Al Saud starting in the early 20th century and whose daughters married extensively into the family, Prince Mohammad had a full brother, Turki Bin Salman, who was formerly the chairman of the Saudi Research and Marketing Group that publishes the pan-Arab daily Al Sharq Al Awsat. It is not clear what type of relations he enjoys with several of his half-brothers, including the deputy minister of petroleum, Abdul Aziz, the chairman of the Saudi Commission for Tourism and Antiquities and former Astronaut, Sultan, and the governor of Madinah, Faisal, all three of whom were born to a different mother, Princess Sultanah Al Sudairi, who passed away in 2011. In the event, Prince Mohammad needed all the help he could muster, given the sheer quantity of work thrown on his laps. Beyond stamina, the affable young man confronted an equally daunting hurdle, namely the ability to negotiate on the CEDA with veteran ministers like Ali Al Nuaimi (Petroleum and Mineral Resources) and Abdul Aziz Al Assaf (Finance), two men with oodles of experience. How he handled himself with such officials were probably also part of his apprenticeship, especially when we know that Al Nuaimi will presumably advocate his ministry’s interests in a wider platform, and who dealt directly with the monarch until now. It was critical to note that King Salman did not change the key ministers despite all of the shuffling within the government and may still rely on Al Nuaimi in a private capacity, though it was also clear that wished to invigorate the process by making pragmatic appointments that introduced flesh blood into the system, precisely to allow a new generation of officials to gain some experience during this interim period.